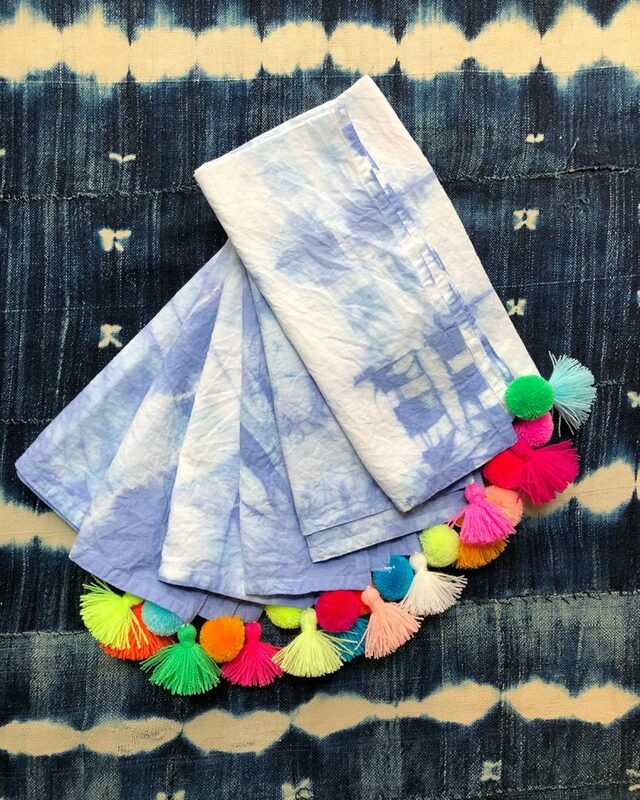 Inspired by Japanese shibori dyeing, these pom pom and tassel tie dye napkins are a far cry from the tie dyeing we all did as kids. I purchased a dozen white cotton napkins for dyeing when I was in Vancouver in March. 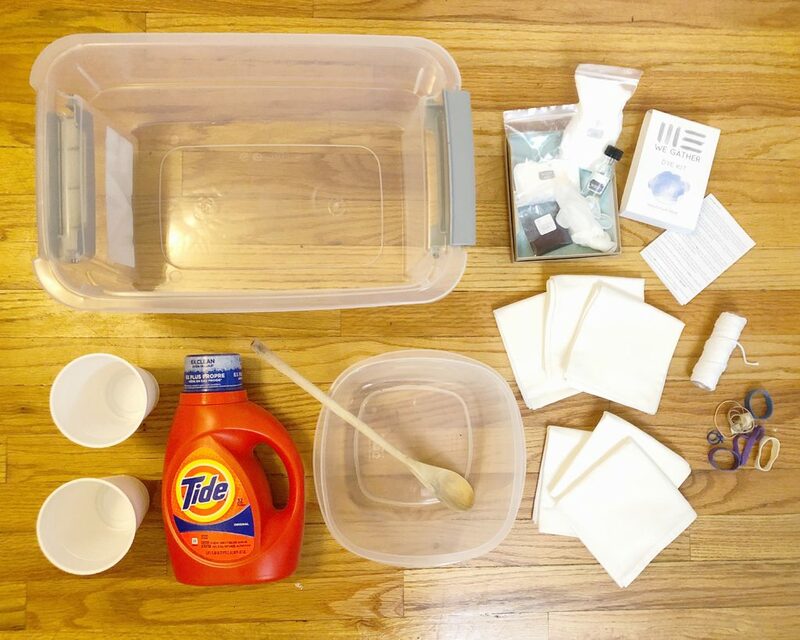 My friend Whitney Crutchfield, founder of WE GATHER, and I swapped DIY kits to test out. Hers was her “delphinium” blue dye kit. 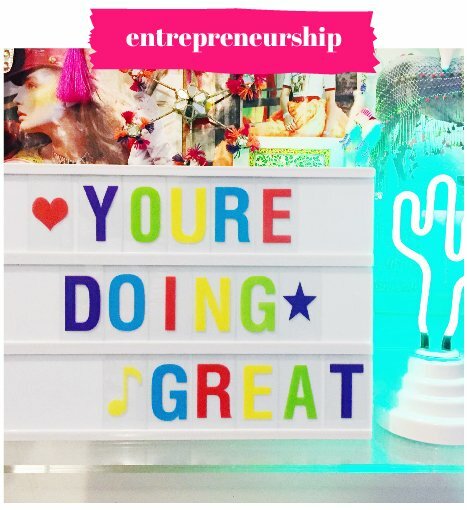 I’ve had this DIY from HonestlyWTF pinned for as long as I can remember. 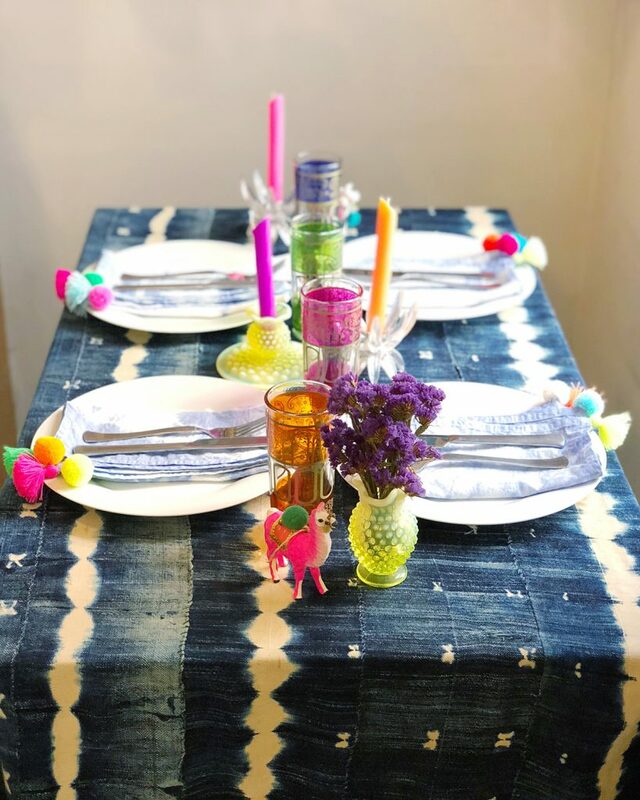 And so, to fuse all of these realities and provide you with another awesome project idea, the concept for this Shibori Pom Pom & Tassel Napkin DIY was born! 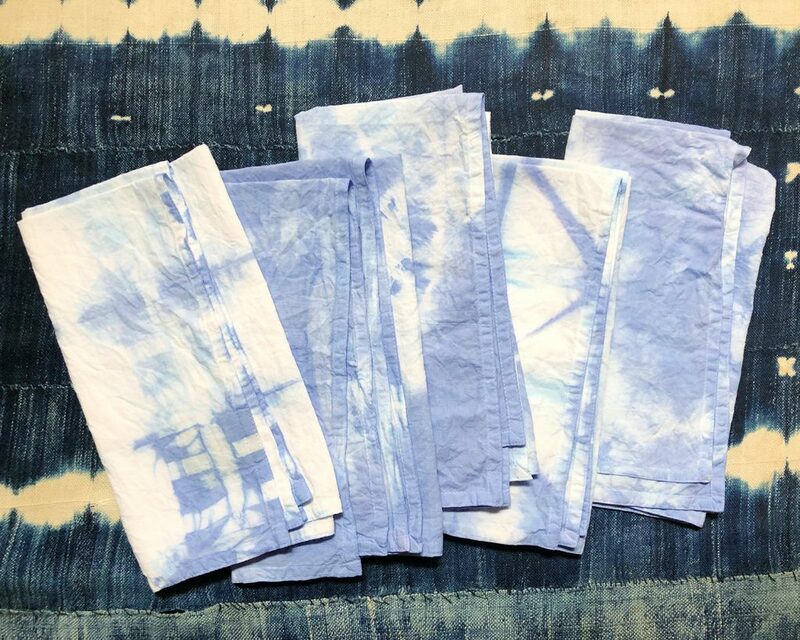 Shibori comes from the Japanese root word shiboru, which means to wring, squeeze, or press. 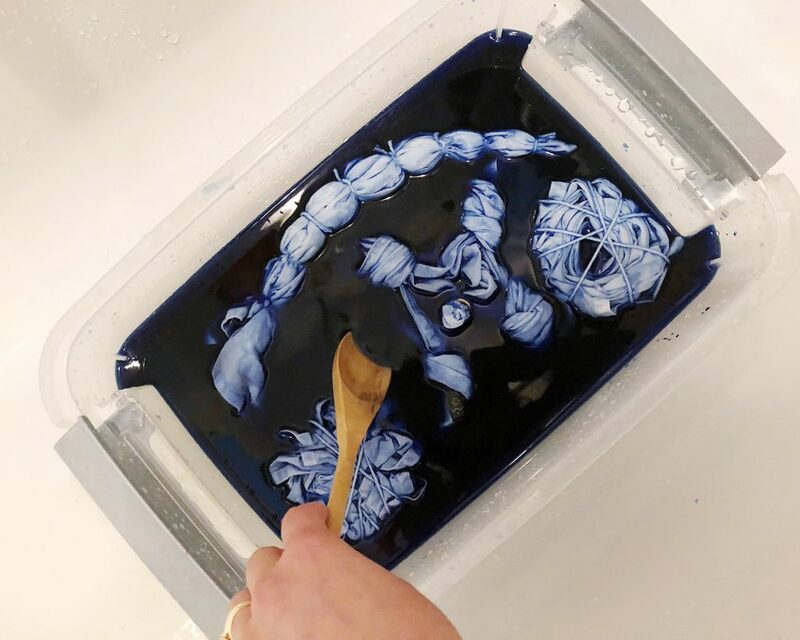 So when we talk about shibori, we’re referring specifically to the act of binding or compressing the fabric in order to create a resist for the dye. 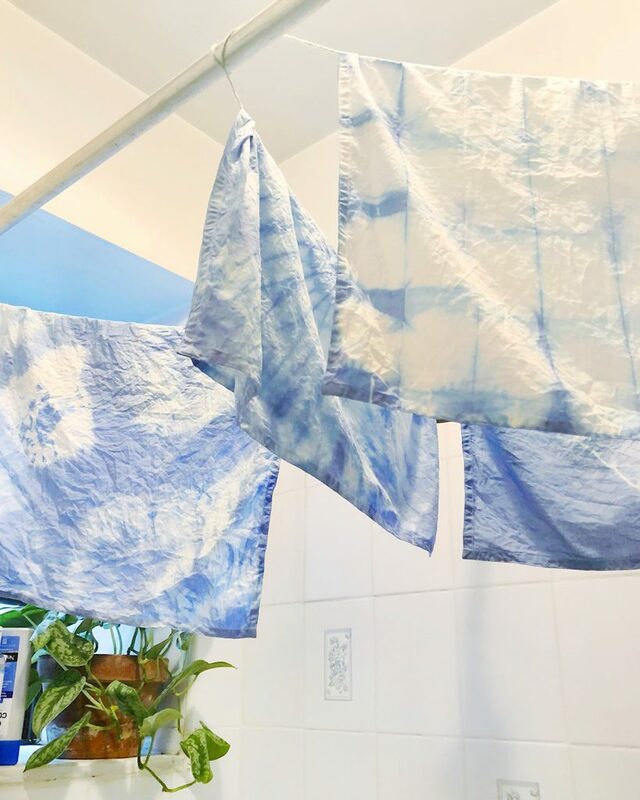 Traditional Japanese shibori mostly employs indigo dyes, but modern shibori utilizes all kinds of dyes and colors. 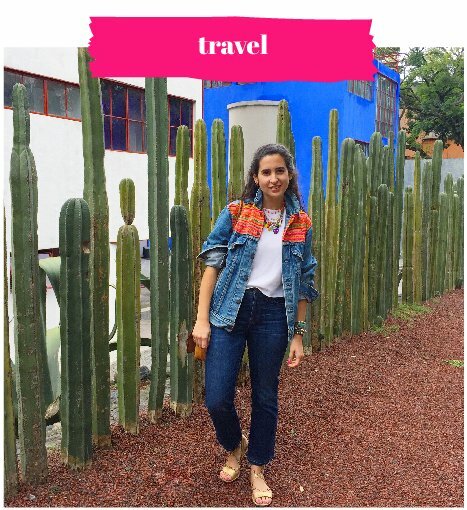 What we think of as tie dye is very much inspired by traditional shibori techniques! 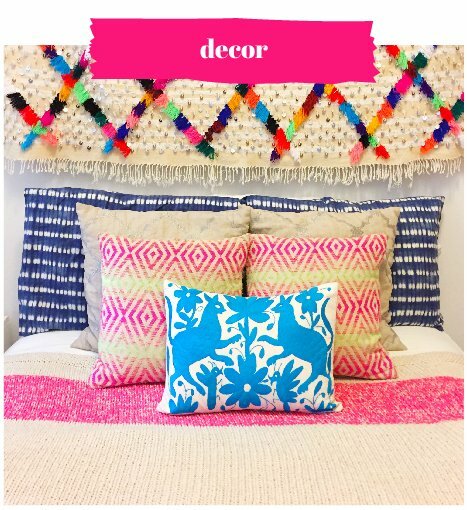 As far as the DIY goest, definitely plan to tackle this project in two phases: the dyeing phase and the pom pom / tassel phase. Up to you which one you do first, but I recommend dyeing first and waiting for your napkins to dry so you can see the exact color your napkins turned out, then choose your yarn colors accordingly. Of course I went with all the brights, but just using hot pink, neon yellow or orange would look really beautiful too. 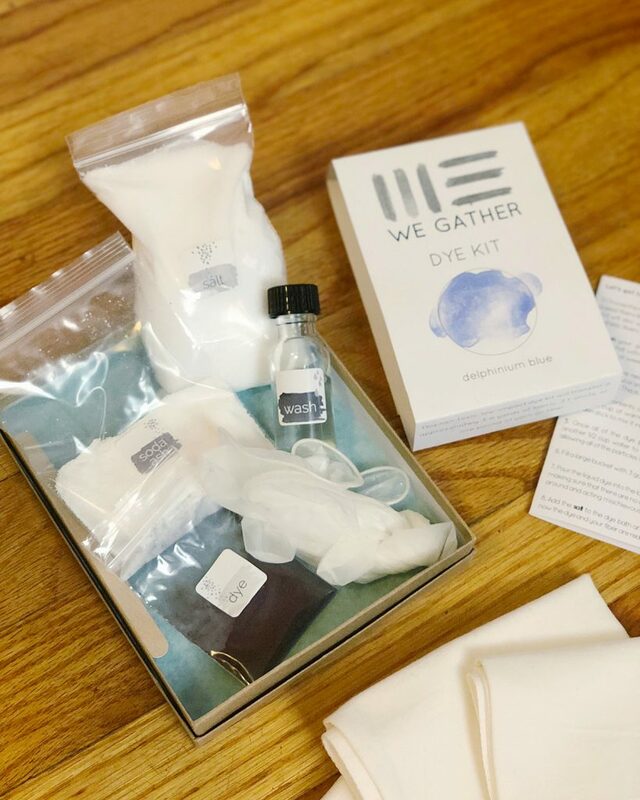 If you’re a first-time dyer like myself, I definitely recommend using a kit as all the correct (and surprisingly specific) supplies are included and everything is pre-measured for you. I absolutely LOVED this WE GATHER kit. The instructions are super clear and the color turned out even more beautiful than I could have hoped! If you want your goods to turn out as perfect as possible, you’re going to want to follow the instructions in your kit exactly. Don’t skip any steps or only “kinda” do them. I learned the hard way when I put six more napkins straight into the dye after taking out the first batch – they came out a totallyyy different color than the first batch. The first step for any dye project is to wash your goods in hot water with detergent and rinse them well. You can either let them dry and dye them later or leave them wet and soap-free to dye right away, since soaking them in water is the first step! Swirl: Pinch the center of your napkin and twirl it until it coils up into a circle. Bind with cotton twine or rubber bands keeping it relatively pancake-like. Crumple: Crumple your napkin towards the center until it’s close to a circle shape.Bind with cotton twine or rubber bands keeping it relatively pancake-like. Bullseye: Identify your desired central point and wrap a rubber band or cotton twice just below it. Add another band or twine below that as far down and you like, another one below that and so on until your napkin is long and bound all the way down. Diamond: Accordion fold your napkin until is one long strip. Then accordion fold the strip into a triangle shape resulting in one fat triangle. Bind the triangle in place with rubber bands or cotton twine. Box pattern: Accordion fold your napkin until is one long strip. Then accordion fold the strip into a box shape. Bind the box-shape in place with rubber bands (preferable wide one) with two spaced out going horizontally and one going vertically down the center. Knotted corners with bullseye: This one was kind of an experiment inspired by the HonestlyWTF tutorial. Here I knotted each of the four corners and then added two rubber bands in the center for a small bullseye to add interest. At this point, I suggest you follow your kit’s instructions and be as neat as possible with it. To be honest, I was hesitant to bust out a dye kit in a rental apartment for fear of totally destroying our bathroom, but with a little preparation, some rubber gloves and frequent rinsing, I’m thrilled to share that our tub is still white! In general, as long as your tub is polished and doesn’t have porous spots, you should be alright. Just be sure to move your shower curtain and bath mat out of the way. 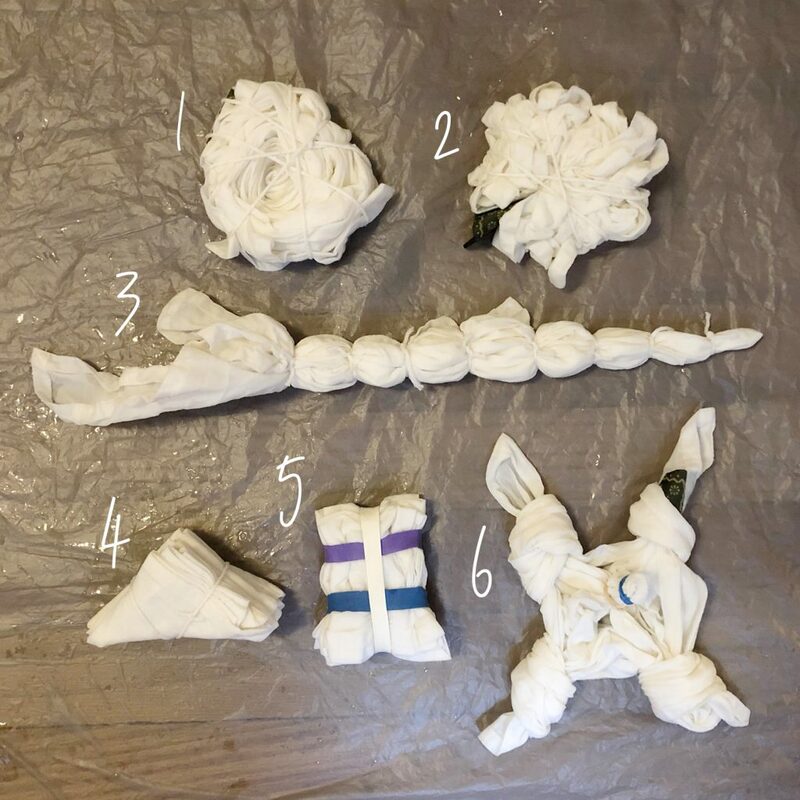 Once your napkins are done soaking in the dye, give them each a rinse under cool water and carefully cut away the rubber bands. Once open, rinse them individually again in the cool water, then follow your kit’s instructions for rinsing out the remaining excess dye. 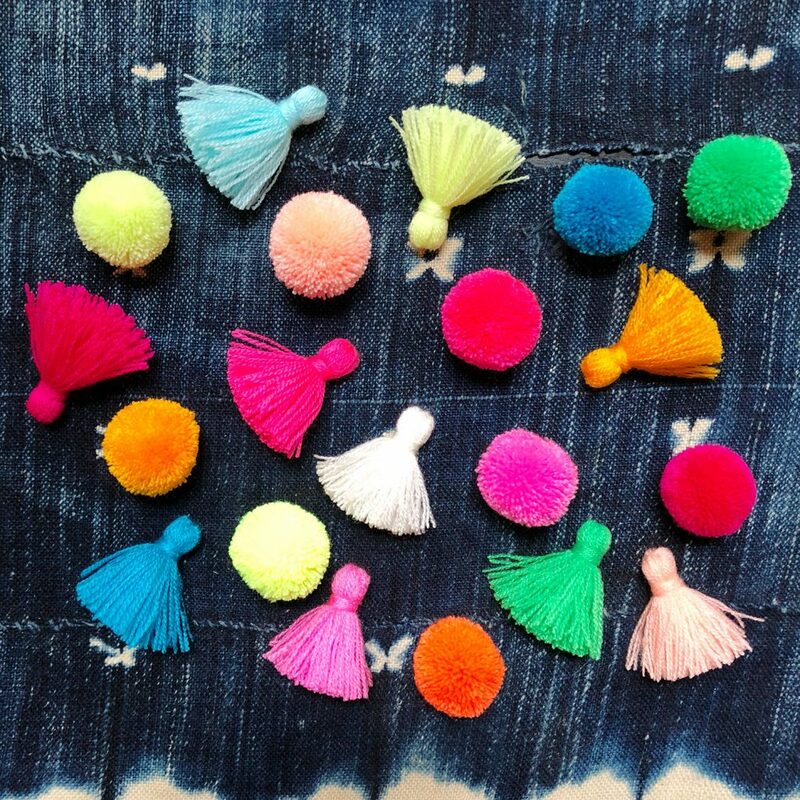 Let them hang dry over night, giving you time to make a whole bunch of pom poms and tassels! 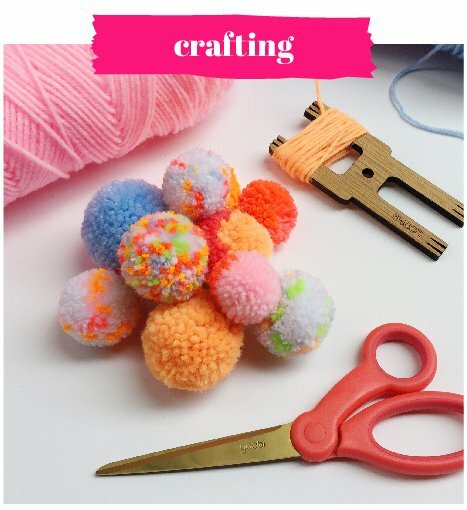 You can find the steps for making a pom pom in our free lesson, How to Make Pom Poms. To make these mini poms, swap a Loome for a fork and wrap your yarn a total of 100 revolutions (fewer if you’re using thicker yarn such as a worsted weight). Make yourself a 1″ circle trim guide using the cereal box, pencil and scissors. 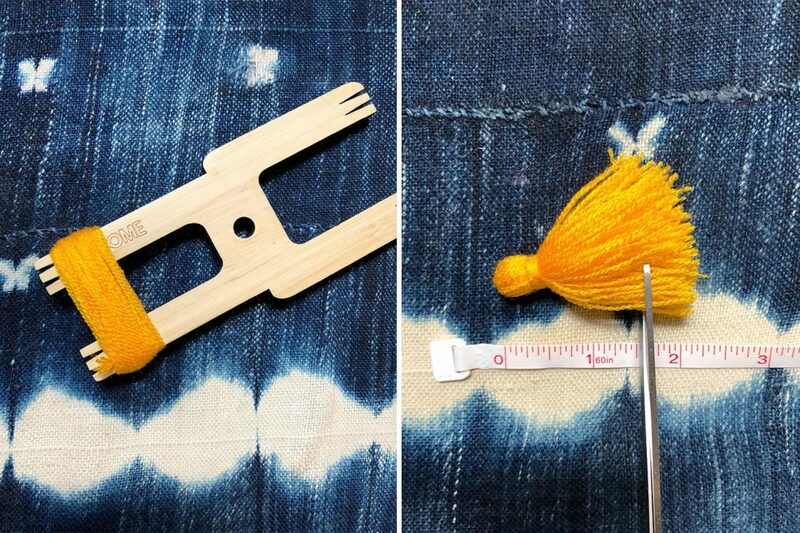 Once your mini pom pom pancake is trimmed open, use the 1″ trim guide to trim your pom into a perfect little sphere. 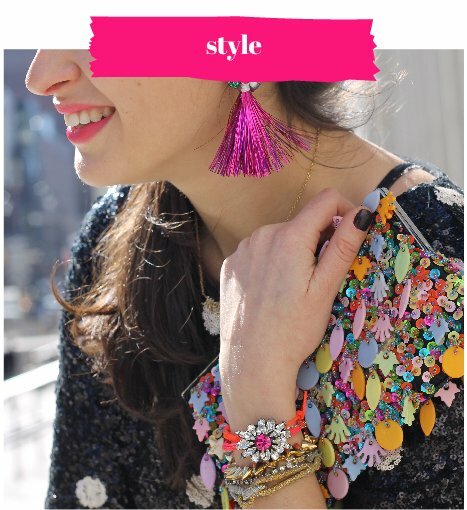 To learn how to make the mini tassels shown here, there’s a module in our complete pom pom and tassel course, How to Master Pom Poms and Tassels, that shows the exact way we recommend making tassels. These were made on the narrow side of the Loome tool wrapping a total of 30 revolutions (fewer with thicker yarn) and trimmed to 1.5″ in total length. 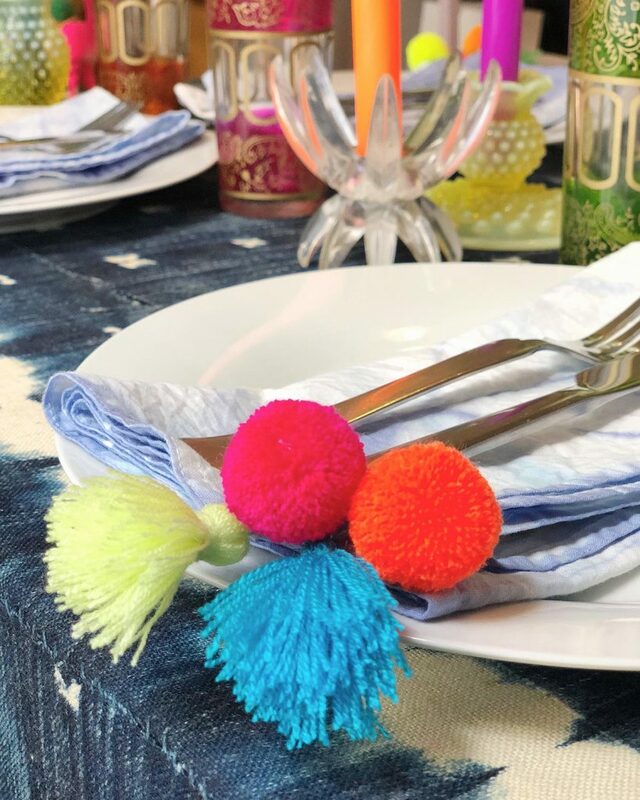 I attached a single pom pom or tassel to each napkin corner, alternating between one pom pom and one tassel, so a total of two pom poms and two tassels per napkin. Since I dyed six napkins, I made 12 pom poms and 12 tassels in all different colors. When your napkins are dry, it’s time to get adorning! 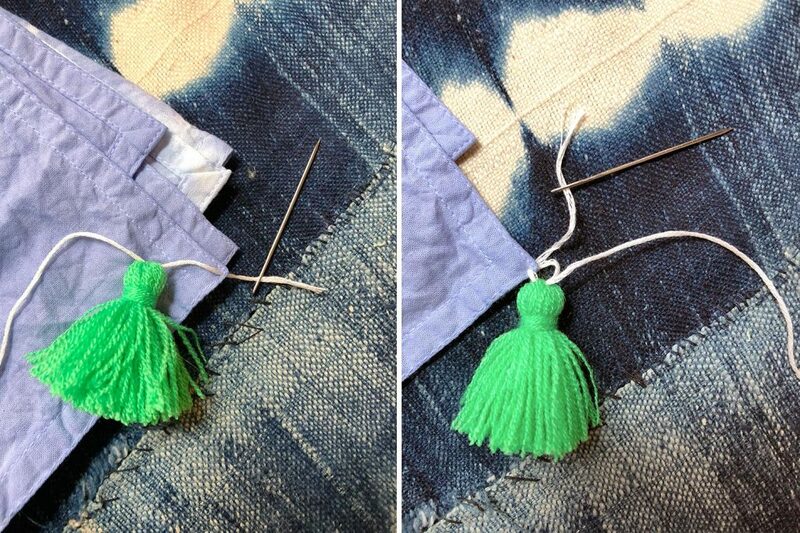 To attach your tassels, thread a strand of embroidery floss on your embroidery needle. Sew underneath the top loop of your tassel and then through a corner of your napkin going from front to back. 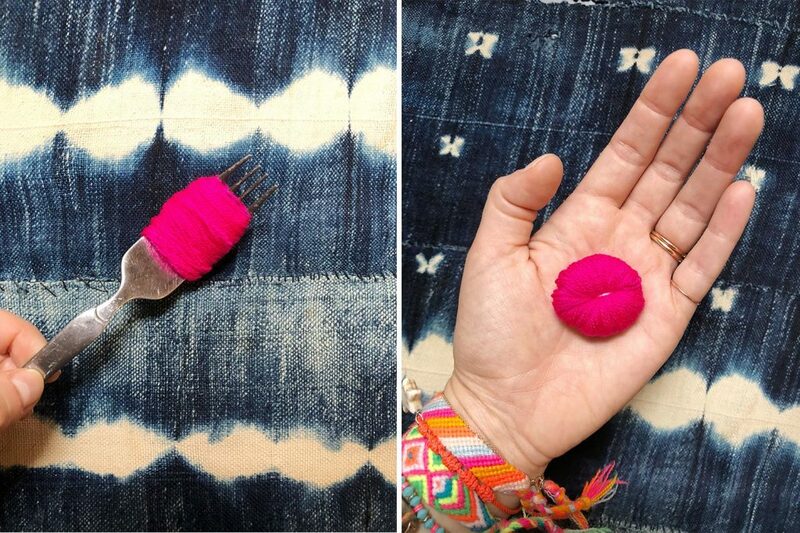 Loop your needle back through the loop of your tassel in the same direction you went the first time, then back through the napkin going from the front to back. You should see a little loop form. Pull the loop closed and tightly secure your tassel to your napkin with a double knot. Trim off excess floss and add a dot of strong craft glue to the knot if you like. To attach your pom poms, thread a strand of embroidery floss on your embroidery needle. Sew underneath the interior string of your pom pom and then through a corner of your napkin going from front to back. (Note that the napkin shown here is upside down with the underside facing up.) 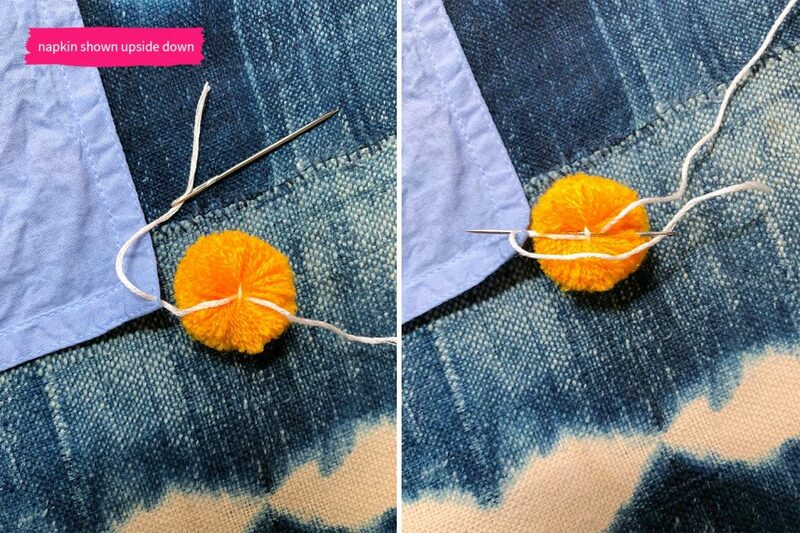 Loop your needle back through the interior string of your pom pom in the same direction you went the first time, then back through the napkin going from the front to back. You should see a little loop form. Pull the loop closed and tightly secure your pom pom to your napkin with a double knot. Trim off excess floss and add a dot of strong craft glue to the knot if you like. Repeat twice more on the other two napkin corners, and then again on as many napkins as you dyed! 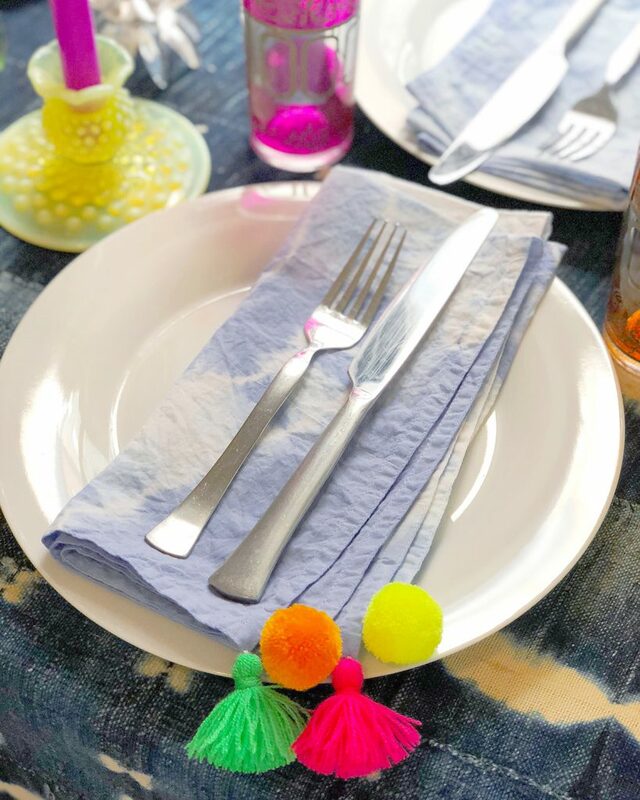 As an alternate (read: simpler) option, you can also totally skip the dyeing process, use ready-made napkins of your choice instead and just go to town adding pom poms and tassels. So many design possibilities! 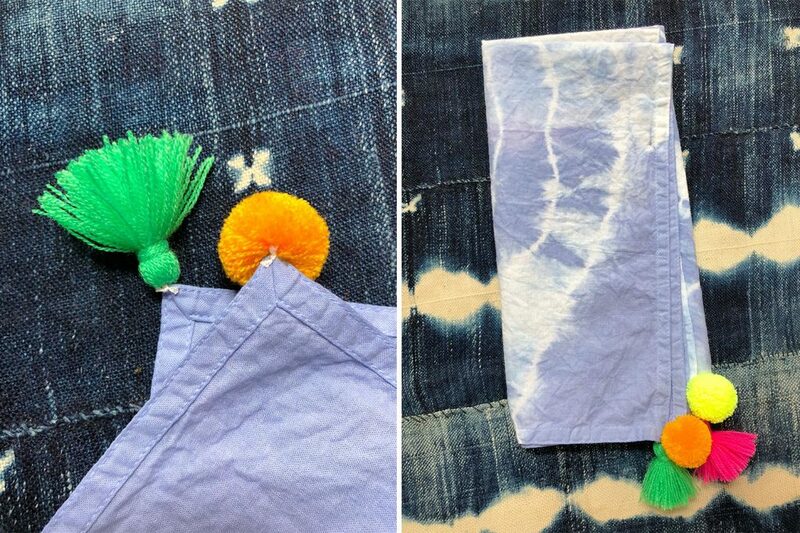 Whether you shibori dye your own napkins or use ready-made napkins, in both cases I recommend washing them by hand in cold water to protect the pom poms and tassels. A bit of a pain but totally worth it if you ask me! 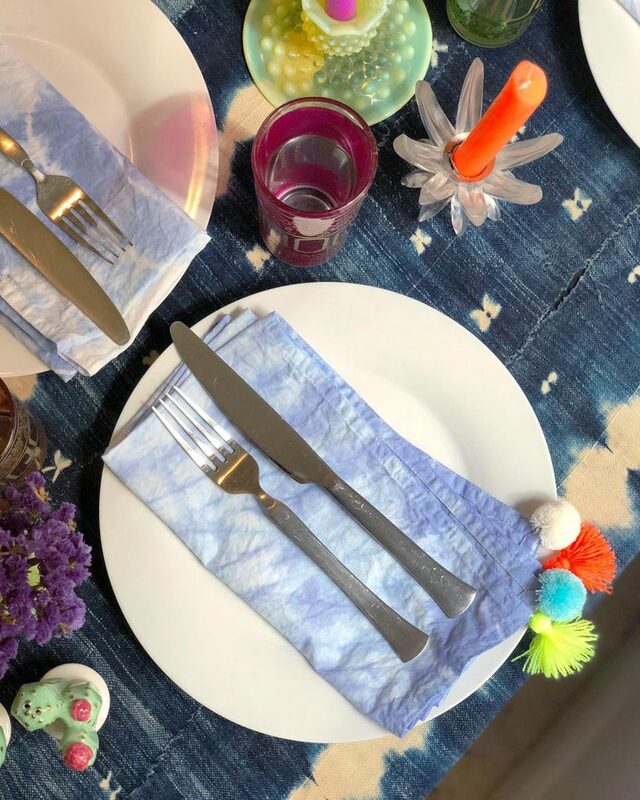 If you have any questions or comments about our Shibori Pom Pom and Tassel Napkins tutorial, be sure to leave them below! And you make them yourself (which I hope you do!! ), DEFINITELY share them on Instagram and tag us @theneonteaparty!